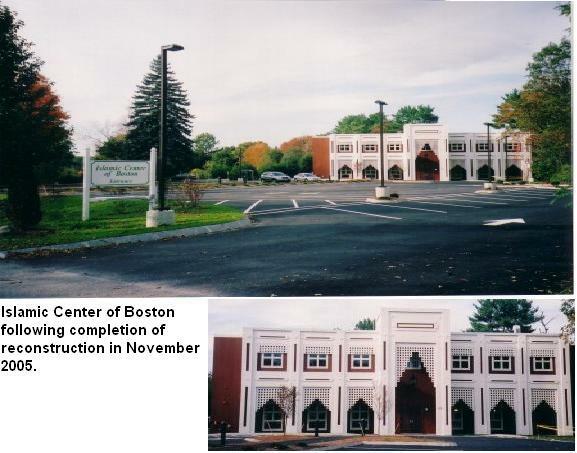 The Islamic Center of Boston (ICB) was established in 1979 (1399 AH) as a nonprofit, nonsectarian religious, educational and cultural organization. 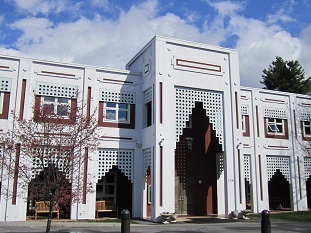 Services provided by the ICB include congregational prayers, Ramadan iftaars and taraveeh, a Sunday school, eid programs, educational lectures, and interfaith activities. The center services the Muslim community west and north of Boston although people travel to get to this center from as far away as New Hampshire and Falmouth. Center's membership includes many ethnic groups and represents Muslims from all over the world. The Sunday school was started in 1979 using a public school facility in Cambridge. In 1986 ICB purchased a property at 126 Boston Post Road (Route 20), 4 miles west of Route 128, consisting of a 12 room house built on 1.75 acres of land. The School started to operate in this new facility in 1988. A new building was constructed on this property in early nineties to provide additional class rooms and a larger prayer area. In 1999 an adjoining plot of land was acquired to expand the parking facilities at the center. 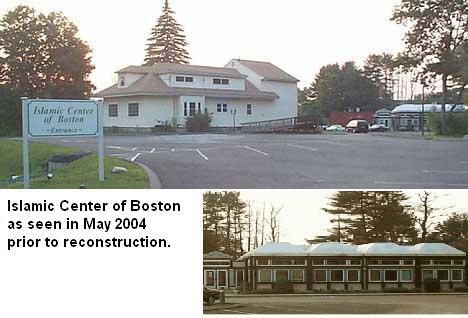 In April 2002, ICB General Body approved a major renovation project. The construction started in 2004 and the center re-opened in Fall 2005. The project added 10,000 square feet to the existing 5,200-square-foot building, with educational space for 400 people and renovated prayer and social space. The project also added a new second floor to the facility, as well as new landscaping and an expanded parking lot.